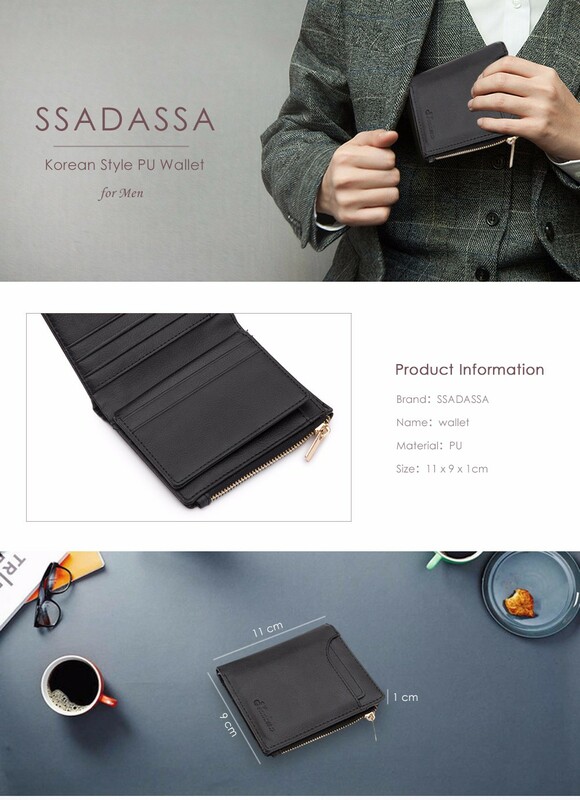 The wallet is exquisitely designed with great workmanship and a strong sense of fashion. The overall simple fashion, made of PU, wear-resistant. 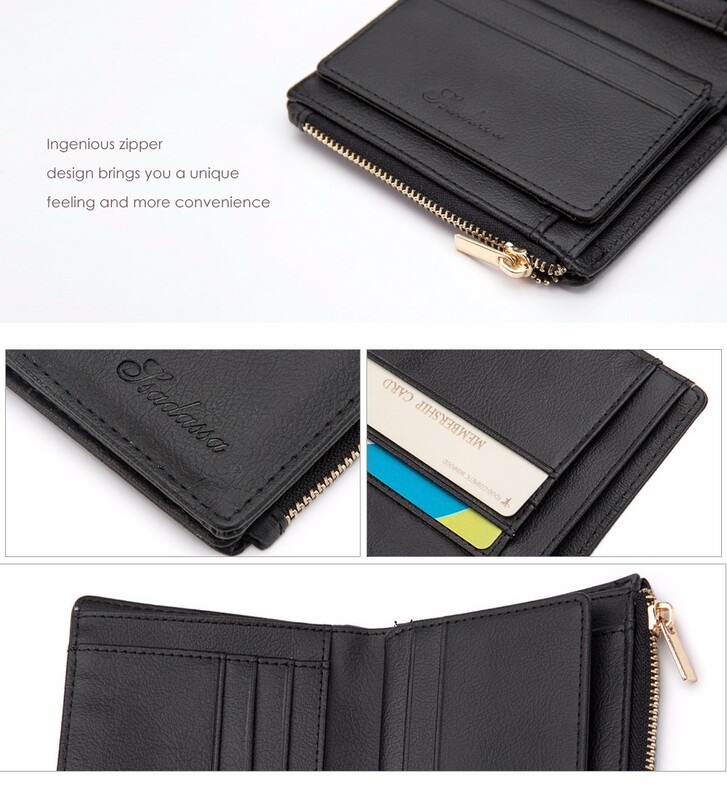 Exquisite zipper, pull smooth, wear durable. 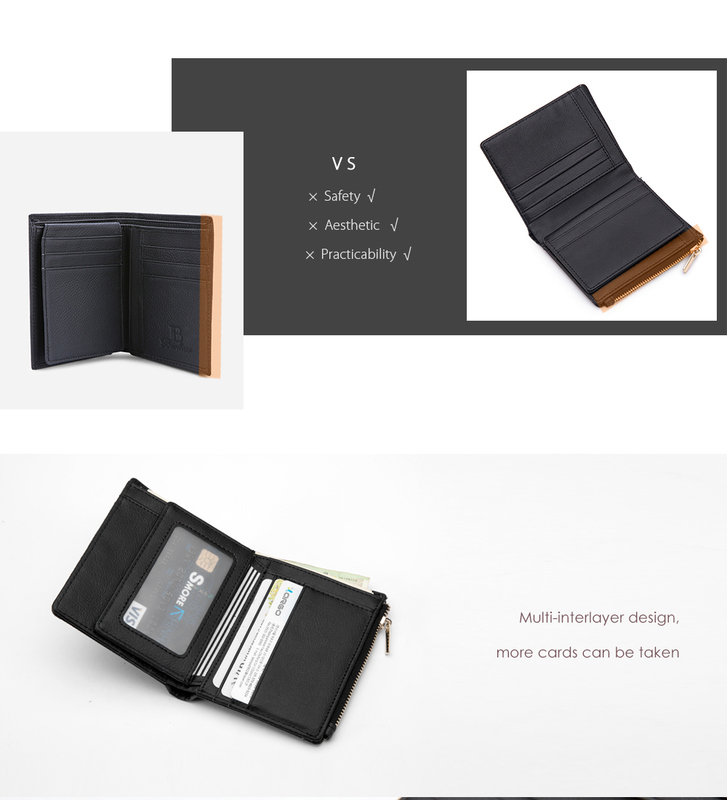 It features bill compartments, ID window, coin pocket and credit card slots.